Explore the depths of The Playground, and be on the hunt for the best deals and discounts from over 100 mom and baby brands. Check out Into The Jungle Baby & Kids Fair happening on September 27 to 30, 2017 at The Playground, Bench Tower in BGC. 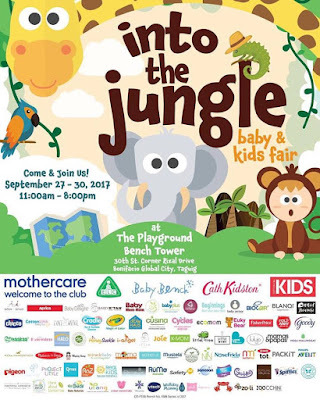 This year's fair will definitely be roaring with over 40 vendors, ready to offer you the latest and coolest mom and baby products you can find in the market. To top it off, admission is FREE!